Working in woodworking since he was 15 years old, Maine native Vince Marzilli knows a thing or two about carpentry. 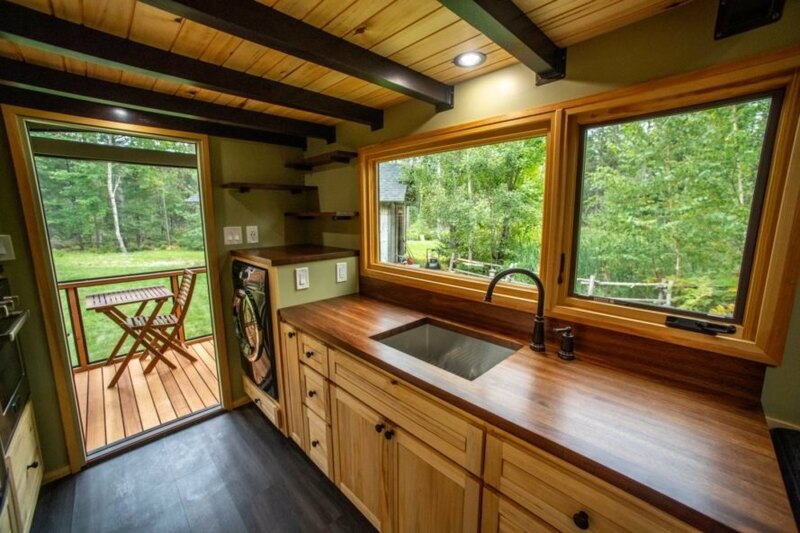 The Maine-native has now parlayed his wood crafting talents into the tiny home construction business, and the results are stunning. 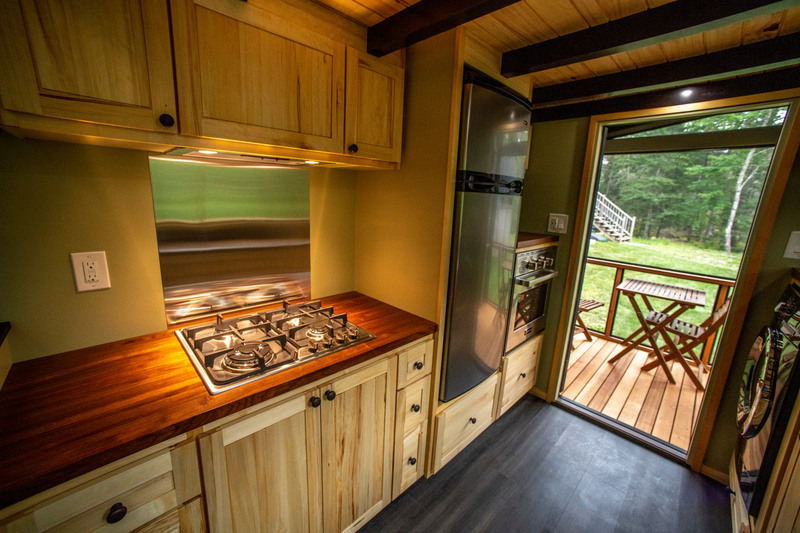 Clad in cedar shingles with an all-wood interior and inviting screened-in porch, Marzilli’s first tiny home, the Cumberland, gives off a soothing cabin-in-the-woods feel. 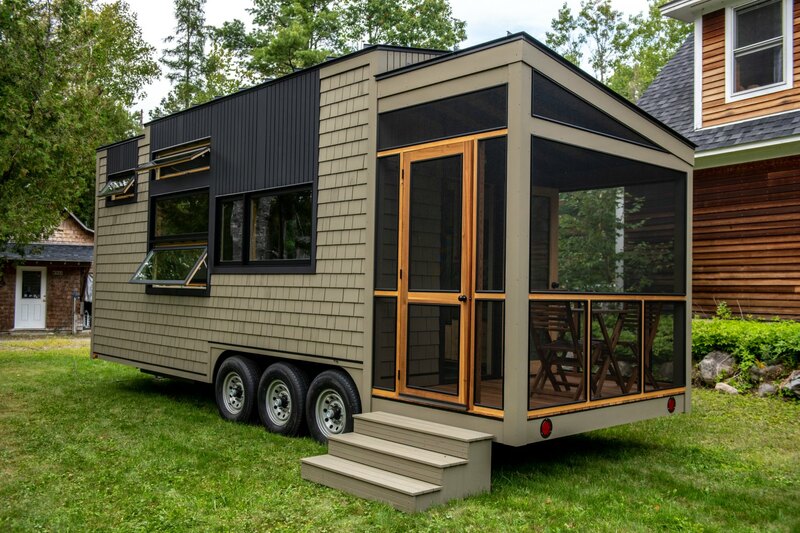 Built on a custom wheeled trailer, the Cumberland is 15 feet long, clad in a mix of cedar shingles and black siding. The home’s screened-in front entrance is perhaps the first thing to stand out among the beautiful tiny home’s design. A short three steps leads into the warm space, complete with a small dinette set to enjoy a morning cup of coffee or late night glass of wine with friends. On the interior, Marzilli’s wood working talents are evident at just about every angle. The wood-clad living space boast a variety of wooden hues and grains, emitting a warm, soothing aesthetic. 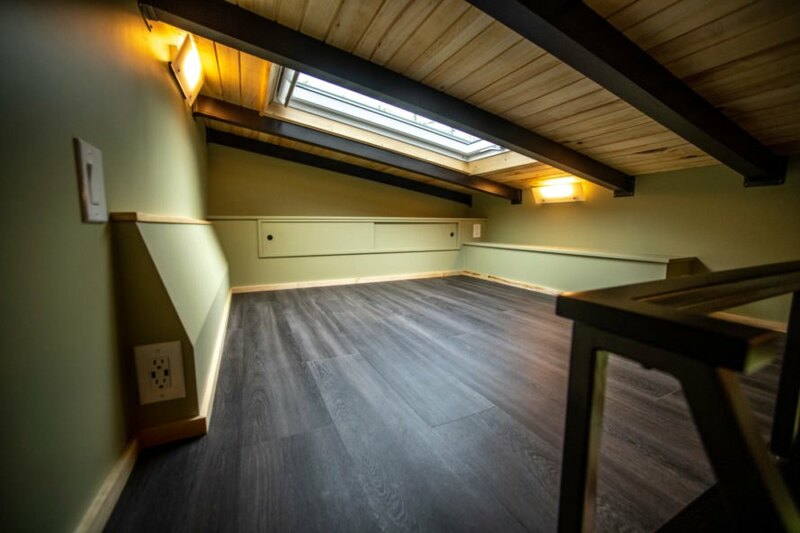 Poplar was the wood of choice for much of the interior, including the ceilings, whose Poplar planks contrast nicely with White Ash rafters and beams. The wooden interior is flooded with natural light thanks to an abundance of large windows. The living space includes the seating area of the screened in porch, and a large kitchen with custom-made cabinets, doors and drawer fronts. Adjacent to the kitchen is another seating/dining area with an expandable dining table with two removable leaves that allows space for up to four people. The bedroom is located on a sleeping loft, which is accessed by ladder. 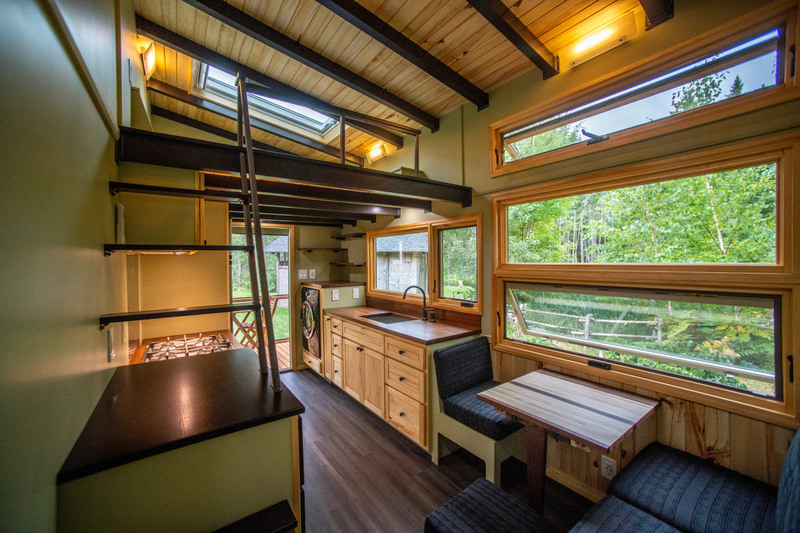 The space is large enough for a queen size bed and also features a large skylight for stargazing before drifting off to sleep. 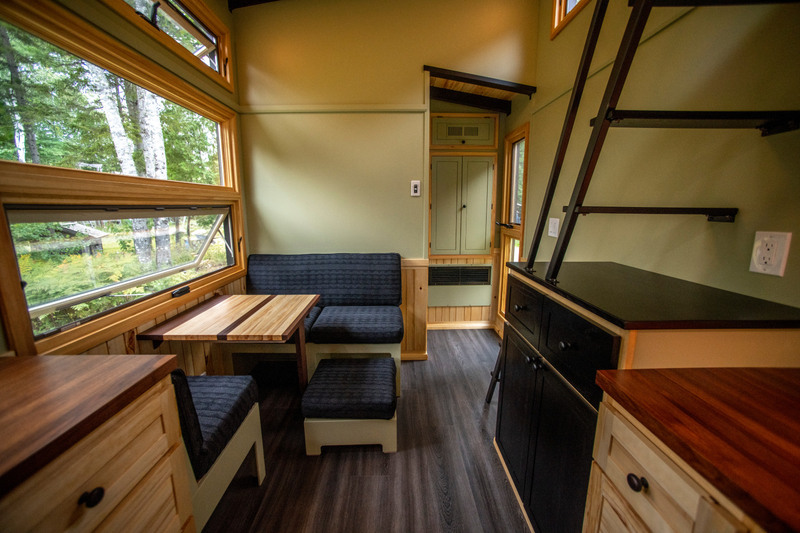 The Cumberland Tiny Home is designed by Evergreen Tiny Homes. 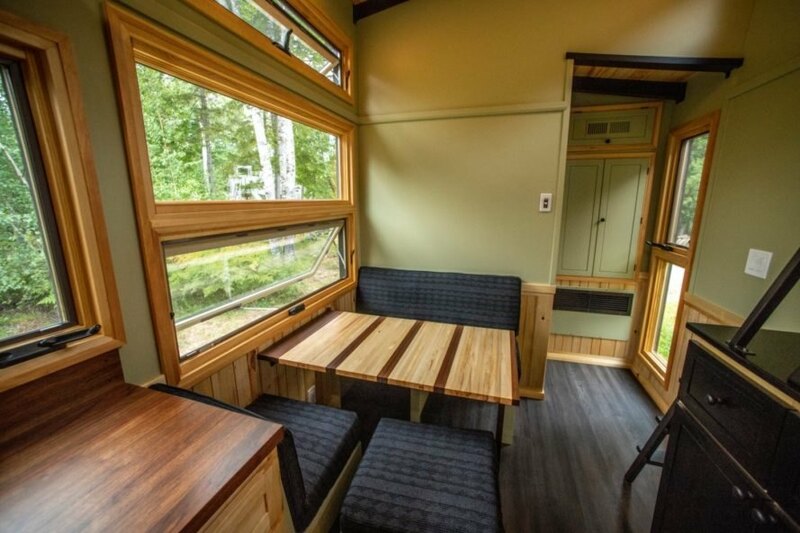 The beautiful tiny home on wheels is on sale for $70,000. The kitchen has black walnut butcher block countertops. The wood-clad interior is illuminated by natural light. 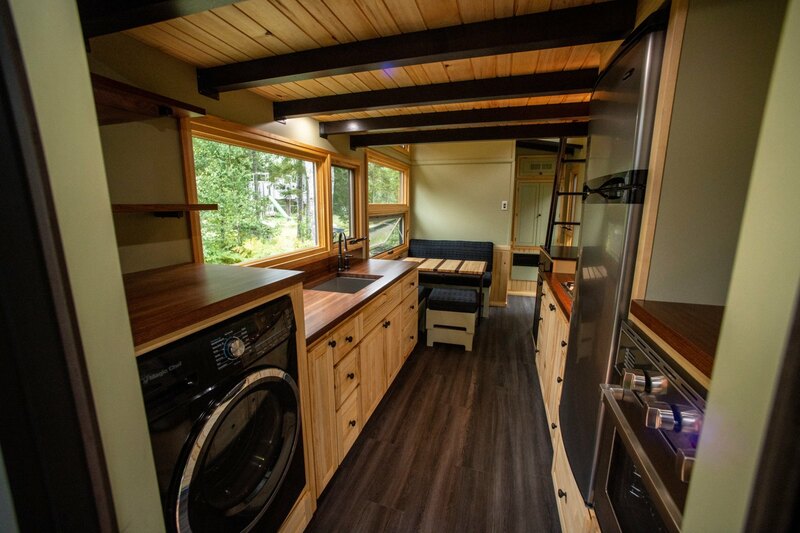 The all-wood interior gives the tiny home a warm, cabin-like aesthetic. A spacious sleeping loft s accessible by ladder. The kitchen leads out to a wonderful screened-in porch. The dining space is flexible. 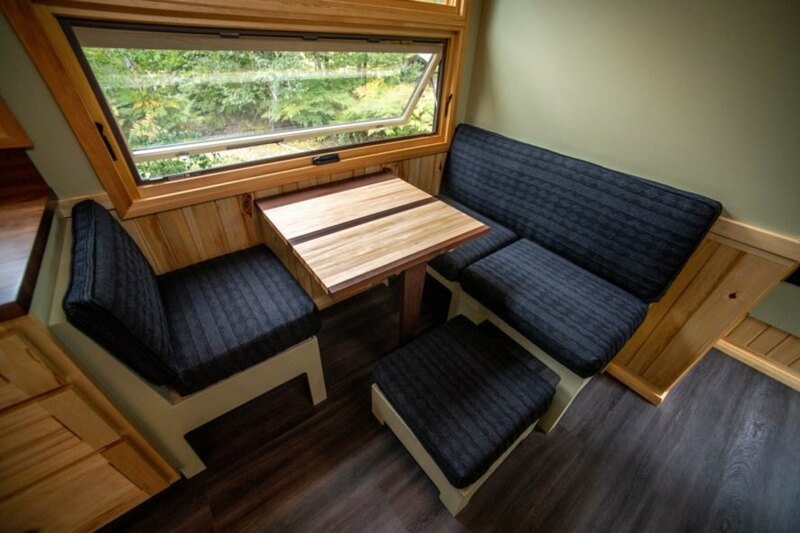 The dinette can be set up for two or four people. 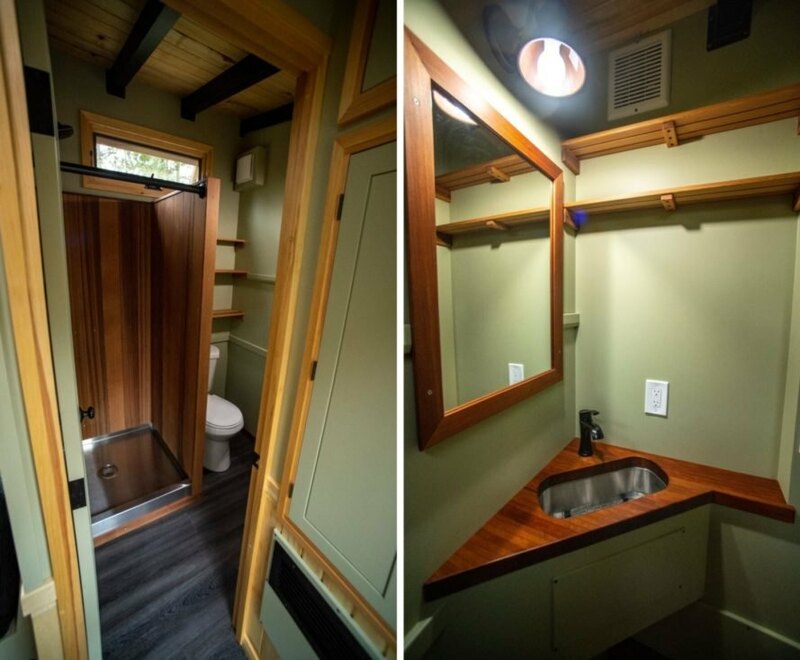 The bathroom is quite spacious for a tiny home. Working in woodworking since he was 15 years old, Maine native Vince Marzilli knows a thing or two about carpentry. The Maine-native has now parlayed his wood crafting talents into the tiny home construction business, and the results are stunning. 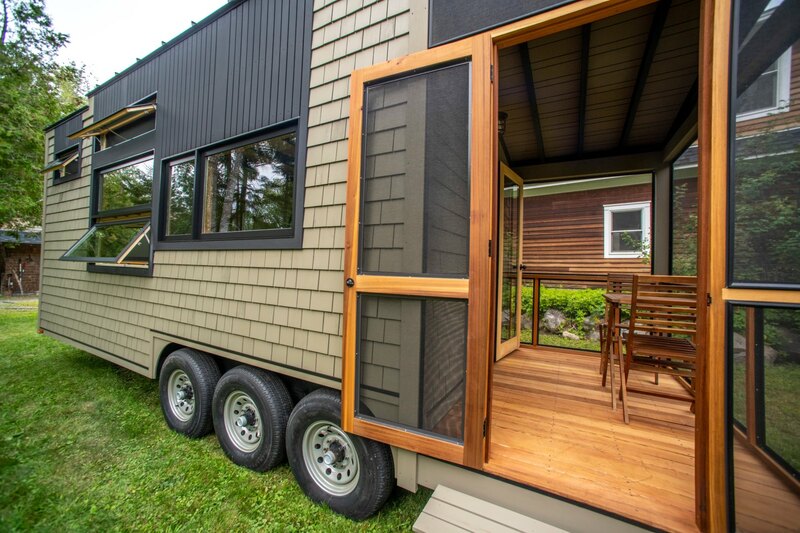 Clad in cedar shingles with an all-wood interior and inviting screened-in porch, Marzilli's first tiny home, the Cumberland, gives off a soothing cabin-in-the-woods feel.